TORONTO, ONTARIO — (Marketwired) — 12/20/13 — With the City of Toronto Budget Committee beginning to wrap-up its review of the City’s 2014 Budget today, the Toronto Real Estate Board (TREB) is calling for City Council to move forward with providing relief from the Toronto Home Buying Tax (Land Transfer Tax) for all home buyers, and to continue providing dedicated relief for first-time home buyers. TREB’s views are being echoed by thousands of Torontonians who have been contacting City Councillors by email and other means. “The Home Buying Tax hurts people when they can least afford it. It penalizes people like growing families or retirees. City Council should do its part in keeping Toronto affordable by providing relief from the Home Buying Tax for all home buyers,” said Dianne Usher, President, Toronto Real Estate Board. In recent days, published comments suggested that the City’s Budget Committee may consider a proposal to eliminate the Land Transfer Tax on the first $200,000-$300,000 value of a property, for all home buyers, but to also eliminate the existing rebate that provides relief for first time home buyers on the amount of Land Transfer Tax payable up to a $400,000 home. If implemented, such a proposal would result in first-time home buyers paying more Land Transfer Tax than what they currently pay. TREB has spoken out against this proposal, telling the Budget Committee that all home buyers, including first time buyers, deserve relief from the Land Transfer Tax. In addition, TREB pointed out that first-time home buyers deserve more relief, not less, because the current first-time buyer rebate caps out on a $400,000 home, but the current average price of a Toronto home is approximately $570,000 and rising. “Even first-time home buyers purchasing below average -priced properties are currently being forced to pay thousands of dollars in Toronto Home Buying Tax. Any proposal to eliminate the first-time buyer rebate would make this situation worse. First-time home buyers deserve more relief, not less,” said Von Palmer, TREB’s Chief Government and Public Affairs Officer. TREB has also pointed out to the City’s Budget Committee that the current tax rates of the Home Bu ying Tax are regressive because they force people purchasing below-average priced homes to pay the highest tax rate. Currently, the highest Land Transfer Tax rate kicks in on homes priced over $400,000, considerably lower than the City’s current average price of approximately $570,000 and rising. “The Home Buying Tax has become more and more regressive as home prices have increased, because its tax rates have not been adjusted with inflation. Someone purchasing a home priced below the City’s average price is being charged the highest tax rate. That’s not right,” said Palmer. TREB is encouraging the public to visit www.LetsGetThisRightToronto.ca to tell City Council to do the right thing and phase out the Home Buying Tax. Thousands of Torontonians have already done so. 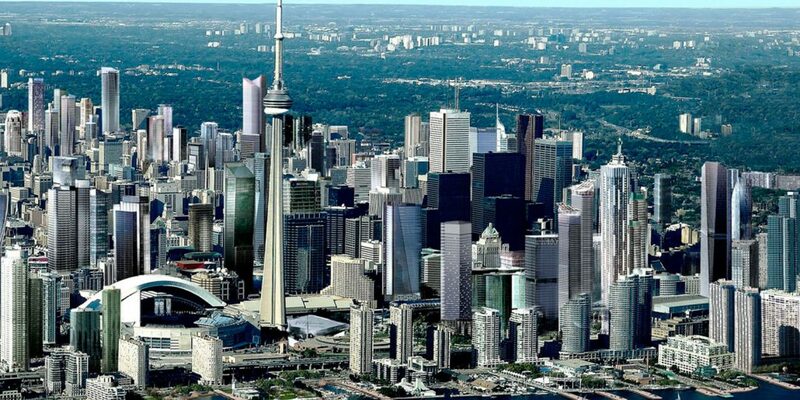 Toronto Real Estate Board is Canada’s largest real estate board.